Freehold Regional High School District (FRHSD) serves more than 11,000 students from eight different communities in Monmouth County, New Jersey. Having observed many of its high school graduates struggle with the transition to college, the district wanted to identify areas for additional support services for its students. Hanover designed and administered a survey to students and parents across the district to understand students’ concerns about the college transition, their opinions about available district resources, and what other resources might be needed. 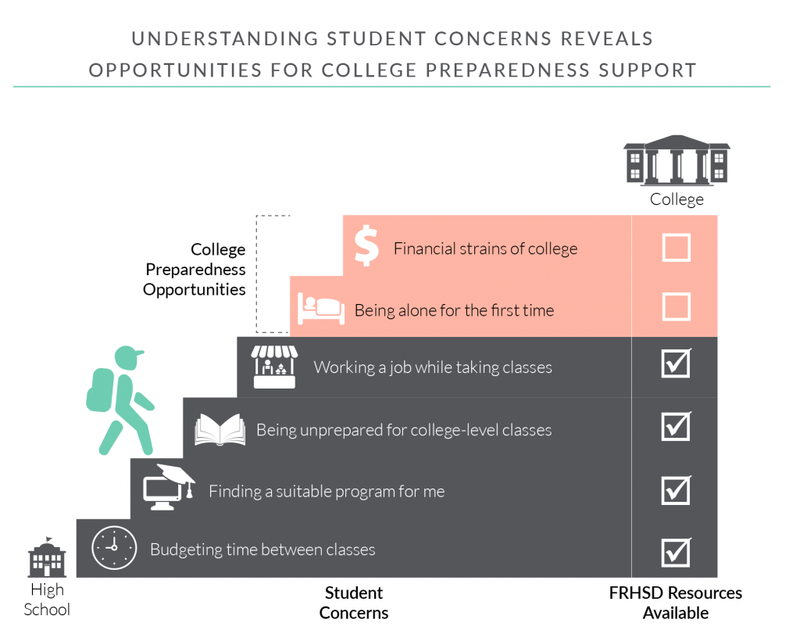 Hanover’s survey analysis revealed that FRHSD’s college preparedness offerings addressed many of its students’ concerns about adapting to college, but found two opportunities where students would benefit from improved district support.